On April 22, 2012, I ran my first marathon. This was a major achievement for me because only 4 months ago the most I ever ran was 10km and that was a challenge. In addition to this I ran on behalf of the Whizz-Kidz charity and I was overwhelmed with the great generosity that my friends and colleagues demonstrated by donating over the amount I had to raise. Raising the money and running the marathon were things I thought that was impossible but I proved myself wrong by taking things step by step over time. 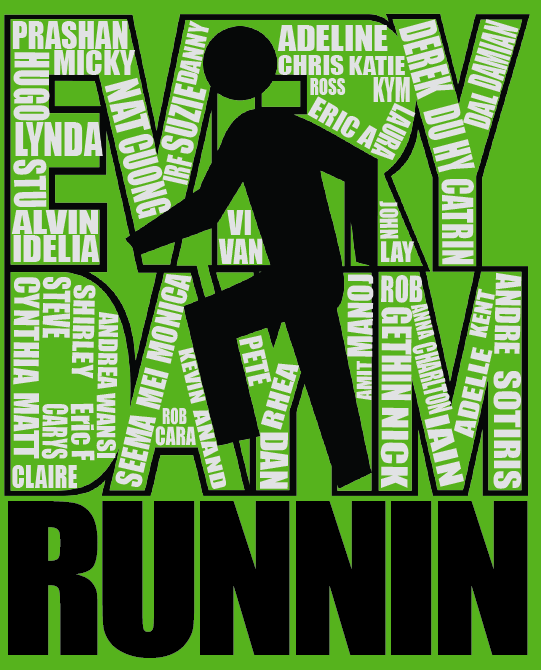 I wanted to show appreciation to all of the people who donated to the charity and for having my back during the training period that I decided to put all of their names on my back via the t-shirt I wore during the race. 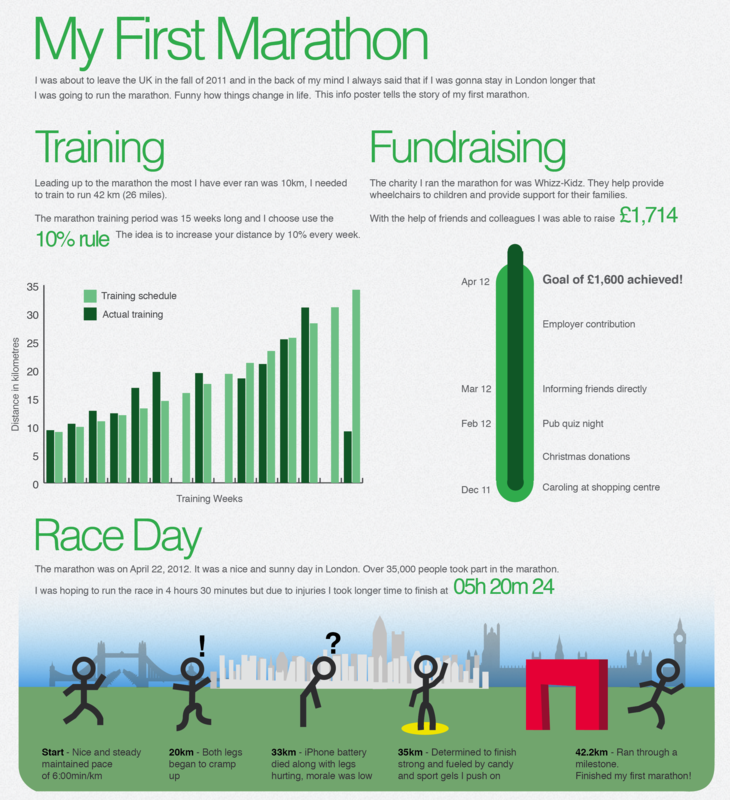 The original route I was trying to take with this info poster was to make it an infographic from the data that I scraped from the London 2012 marathon results website. I wrote my own C# program using the HTML Agility pack to scraped the data. The concept was something where you can enter your running number and see where you fall in with people within your age category or to view how the times were distributed across different age groups. During the analysis of the data I tried to find out how many people hit the wall and how many people ran negative splits. A formula I came up to try to figure if someone hit the wall is if the time of (2 x first half time) + (20 minutes for fatigue) is greater than the final time. I couldn’t think of a good story to tell with the data so I just made the info poster instead of the infographic. The data is available for your download to use at your own leisure.